The Samsung UHD televisions are exceptional televisions. Today we were privileged enough to install this stunning 85″ version. This television was added into an existing installation for a client of ours. The system features a Crestron CP3 which is controlling a CYP Video Matrix and a rack full of sources. Due to all the switching being taken care of by the Video Matrix, the installation was quite simple and quick. 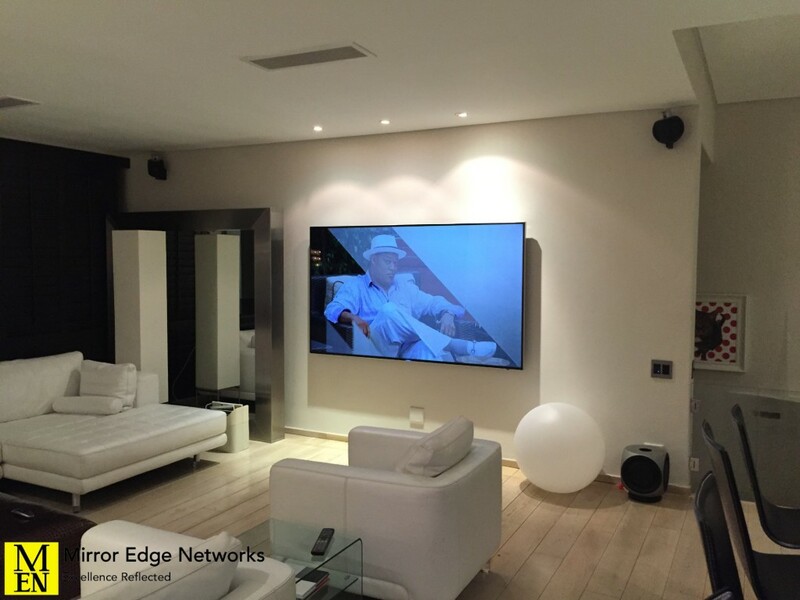 We installed a video and data cable to the television, audio cable out of the television to our clients Bang & Olufsen audio system. The video is carried over a single Cat6 cable, this takes the form of an HDBaseT video distribution system. Of course we always make sure that the brackets we use are correctly suited for the installation that we are carrying out. In this case that was no different, we chose to use a Vogels Wall 1315 bracket. This is a flush mount wall bracket with a 27mm mounting depth. The load capacity of the bracket is rated at 70kg, which is suitable for the 85″ Tv’s 55kg weight. Installation time including new cabling and mounting the television was 6 hours, with a stunning result. If you are looking for a similar installation, get in contact we would be happy to offer our services.